Longitude (deg): -0.7. Latitude (deg): 51.0. Longitude (deg/min): 0ÃÂ° 40' W. Latitude (deg/min): 51ÃÂ° 0' N. Vice county name: West Sussex. Vice county no. : 13. Country: England. Stage: Anamorph. 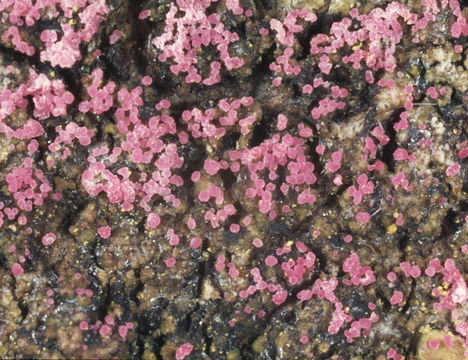 Associated species: Lecanora conizaeoides. Identified by: Malcolm Storey. Comment: "on Lecanora conizaeoides on fallen Beech log, apparently on bark.". Category: microscope photograph. Image scaling: magnified. Photographic equipment used: "35mm transparencies (on a variety of films, but Agfa CT18 in the 1960's to early 1980's followed by Fujichrome in the late 1980's.) Transparencies scanned with Minolta Dimage Scan Dual II AF-2820U transparency scanner. ".